Won’t you be longing for some inner and outer warmth by the last weekend in February? That’s why I’m teaching Reiki in San Miguel, Mexico the weekend after the Heart of Practice Reiki Retreat! 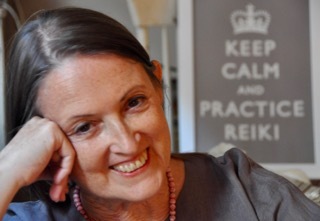 Give yourself the gift of Reiki self practice and sun to help you get through the winter. Join me to learn First degree Reiki in San Miguel, Mexico. Whether you are brand new to Reiki practice or you are looking for a Reiki refresher, the Reiki class in San Miguel will rejuvenate mind, body, spirit — plus you get to meet lovely people looking to do the same! Special friendships often develop in First degree classes. The First Degree Reiki training gives you everything you need to start your self practice, and practice informally on family, friends and pets. You will start practicing an hour into our first session on Friday evening. The Reiki in San Miguel class includes lots of time to practice in class and between sessions, and to address all your questions, so you’ll leave the class with confidence that you can continue practicing on your own. And between sessions, soak up the warmth of the sun and the local culture. San Miguel de Allende is an arts center with a welcoming Mexican and expat community. Accommodations at our training site, Life Path Retreat Center, are fully booked, but there are numerous delightful B&B’s sprinkled throughout the city. Both local airports — Leon BJX and Querétaro QRO — are international. Many people recommend Interjet or Aeromexico. Or fly to Mexico City MEX and take the luxury bus. The class fee is the same as in New York City, and you have the option to make it a weekend or as long as you like. NEED ACCOMMODATIONS? Our training site, the charming Life Path Retreat Center, has limited rooms, so reserve quickly, or avail yourself of the many delightful B&B’s sprinkled throughout the city. You can reserve your space with a $100 nonrefundable deposit. The balance is due before the first session begins.